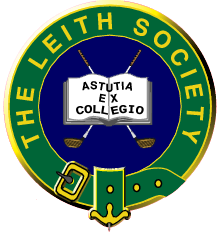 You must demonstrate your committment to the goals and principles of the Leith Society, and MUST complete a member profile which should provide a brief picture of you and your involvement with the study of the Rules. If you have not completed a profile, your application will be rejected. ACCEPTANCE: I hereby apply for membership in the Leith Society, and certify that I have completed a member profile and will ensure that my profile is kept up to date. I also agree, as a condition of my Leith Society membership, that I will not copy or otherwise reproduce any copyrighted material, except as allowed by law. I agree that any improper use of the materials in the Leith Society Archives will result in revocation of my Membership Privileges. The password you choose here will only provide access to member services. It will not edit your posts or profile, unless you choose the same name. Reciept will be acknowledged momentarily on this site. Confirmation by email will follow as soon as possible.